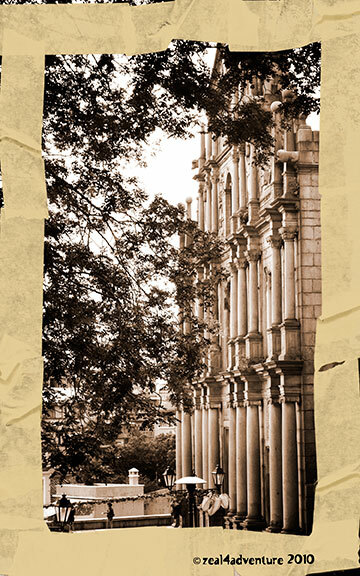 The sixty-eight granite steps from the square will lead you to a façade of what was once the greatest cathedral in Macau. 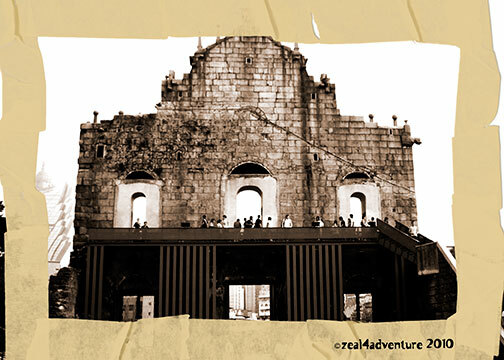 Built from 1582-1602 by the Jesuits, the remains of St. Paul’s Cathedral was the largest Catholic Church in Asia at the time. It is a fine example of Macau’s unique characteristic as a city of Europeans, Chinese and other Asian exchange. Ruined by fire twice, ravaging the other buildings and destroying the church ad almost all the complex. From 1990 – 1995 work was carried out to restore the back of the church, turning it into a museum. 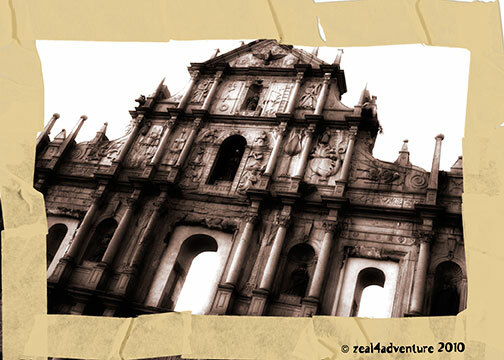 Regarded today as the symbol of Macau, St. Paul’s ruins was considered the core area when the historical center of Macau was inscribed on the World Heritage list in 2005. 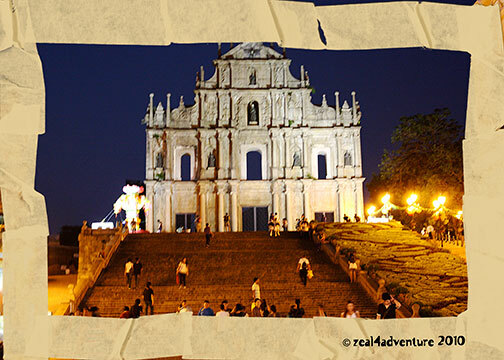 It is today one of Macau’s most famous landmark where music performances are held regularly. If you enjoyed these sepia scenes, click image below for more. i also had a great time exploring the vicinity of the ruins. this is old macau at its best.